Official Heating & Cooling was founded in 1986. In 2011, the business was purchased by Adam & Cheryl Kern, after extensive research of area companies. Adam brings 35 years of experience in the HVAC industry and Cheryl has over 20 years of experience in customer relations. An existing relationship with the former owners offered the comfort level with the business that allowed the Kerns to move forward and acquire the business. In the past, Official Heating & Cooling specialized in new construction. Adam and Cheryl’s vision — and key to success to date is to notify the homeowners of their service capabilities to keep their HVAC systems operating at peak performance. Our endeavor is to better serve our customers. We have made several acquisitions over the last 2 years to increase our customer base and be able to service a larger area. In 2013, we acquired ACME Heating, a 65-year-old company located in Wheeling. 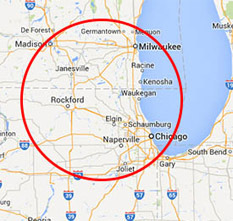 They serviced the north shore and northwest suburbs. In 2014, we acquired Biewer Heating and Air Conditioning Co., a 35-year-old company out of Elgin. Chicago Magazine rated Biewer as one of the top HVAC companies in the Chicago area. In 2015, we acquired Active Air Plus. A 15-year-old company located in Palatine. These unions have been very well received and the expanded service area offers numerous benefits to the entire service area. 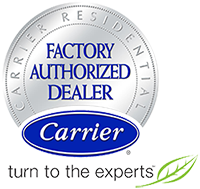 Carrier Factory Authorized Dealer Official Heating & Cooling is a factory authorized Carrier dealer. But that doesn’t mean we just service that brand, we service all brands! We have a highly professional staff to serve you before, during and after the installation. We maintain an extensive inventory of equipment, parts, and materials. It expedites the installation of your system and provides superior service. We’ve earned a reputation for doing the job right the first time. We offer the longest parts and labor warranties in the industry as well as a variety of financing options. We want to assist you in getting the right system and application for your home at an affordable price. Whether it’s a new or replacement installation of a furnace or central air conditioning system, our factory-trained technicians provide the expertise your comfort depends on. You can trust Official to provide you with a system and solution that fits your family’s unique home comfort needs. We are also a Carrier Factory Authorized dealer. This means we are an extension of the Carrier Factory and everything we do is supported by the Carrier Factory. 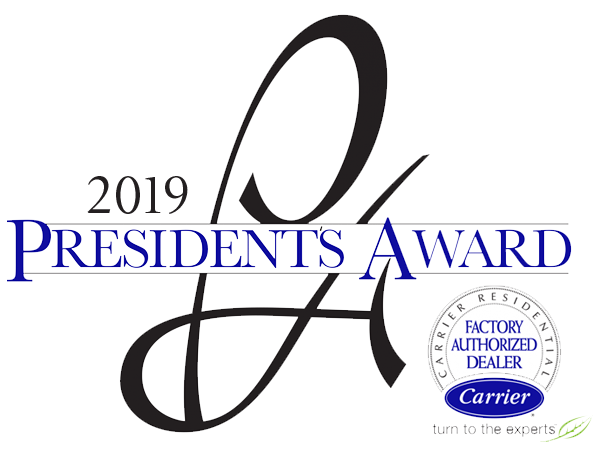 It is an honor that very few Carrier Dealers achieve. We want to keep you comfortable during the coldest Chicago winter months. From emergency repairs to routine maintenance, Official Heating & Cooling’s trained technicians are skilled in providing the prompt and professional heating service you deserve at a price and budget you can afford. Not only that, we will also provide you with a professional diagnostic evaluation of your problem and fix it right the first time. If you are in need of a new furnace, our technicians will show you all of your options, and complete the installation quickly so you can get back to enjoying your home comfort. Official Heating & Cooling Technicians are NATE-Certified. North American Technician Excellence (NATE) is a non-profit certification organization which works to raise the standard of excellence in the heating, ventilation and air conditioning industry nationwide. Through testing, NATE ensures HVAC technicians have the knowledge they need to excel in today’s industry. NATE-certified HVAC technicians have demonstrated their knowledge of today’s increasingly sophisticated heating & cooling systems. By passing a nationally recognized test they become certified. This test is developed and supported by all segments of the heating, ventilation, and air-conditioning industry. Consumers can rest assured that with a NATE-certified technician, they are getting the best installation and service for maximum comfort and economy in their heating and cooling system. Better installation and service mean a longer life for your heating and cooling equipment and increased energy efficiency. 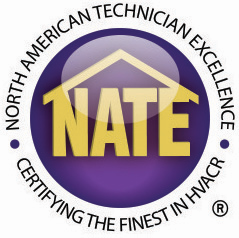 HVAC Technicians who have a NATE certification know that NATE stands for excellence and quality service. 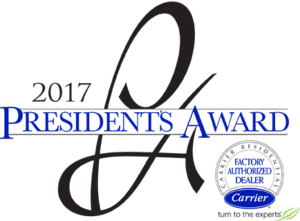 We are recipients of the 2017 Carrier President’s Award and Bryant Circle of Champions Award. The dealers who exemplify operational excellence receive the award. As well as a steadfast commitment to quality in the products they sell. As well as the services that they provide.